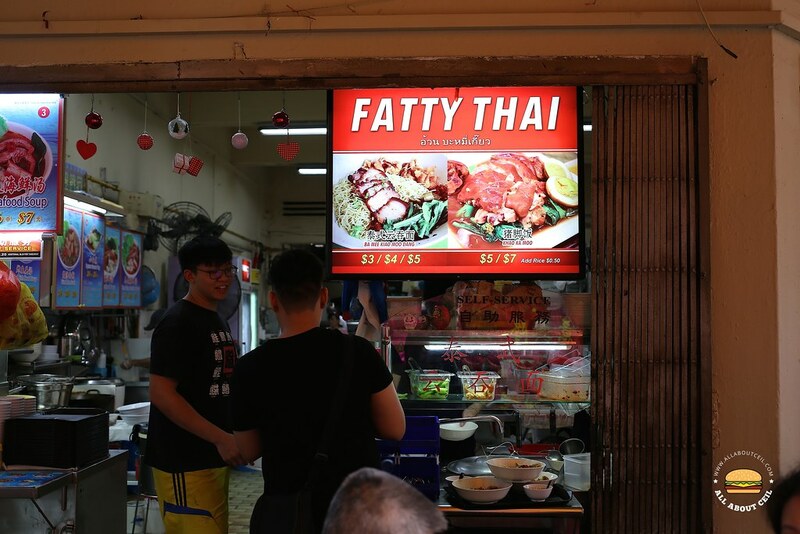 Edmund, Darryll and Wei Zhe, are the owners of this stall and all of them are 22 years old. They met during their school days and decided to start this stall after their national service in this coffee shop along Beach Road. Almost everything is handmade including their char siew which is done in-house based on a recipe that they obtained online. I ordered Ba Mee Kiao Moo Dang, the Thai style wanton mee, the smallest portion is at $3, followed by $4 and $5. Another item on their menu is Khao Ka Moo at $5 and $7, rice is 0.50 cents per portion. When I was asked whether to go chili, I replied, "How spicy is it?". Edmund replied, "Very spicy. I will just add a little and leave it by the side." Edmund was in-charge of cooking, assisted by Wei Zhe and Darryll was taking the orders. Though it is stated as "self-service", Darryll offered to serve it to our table. 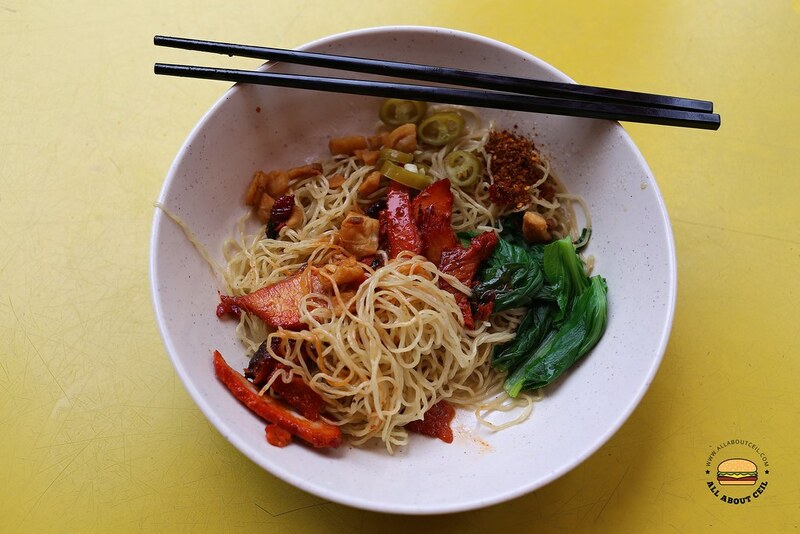 The smallest portion that I ordered came with a good portion of noodles with slices of char siew and some green, garnished with dried chili flakes and preserved green chili. Their wantons tasted a bit different, there was a distinct sourish taste and got my dining companion to wonder what it is. I suspected it might be caused by adding in lemongrass as part of the ingredients, which is common for making Thai style wantons. 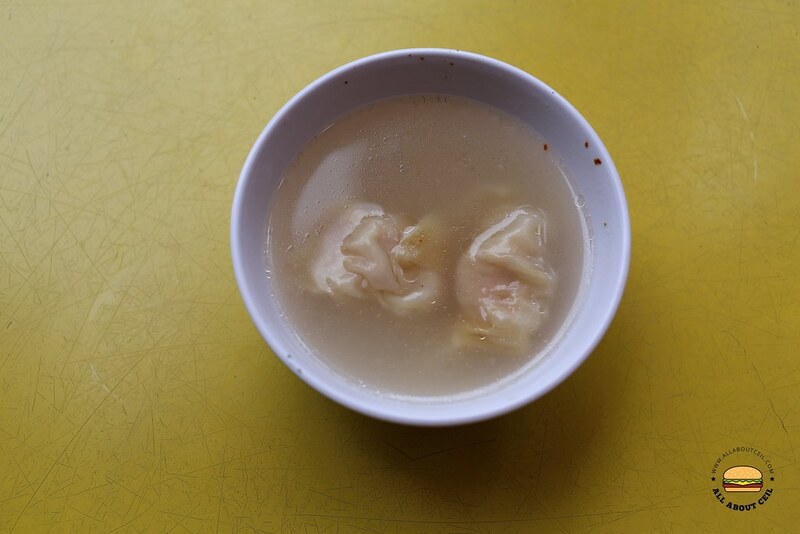 There was a strong flavor of lard oil, other than the usual fish sauce and sugar as the base. 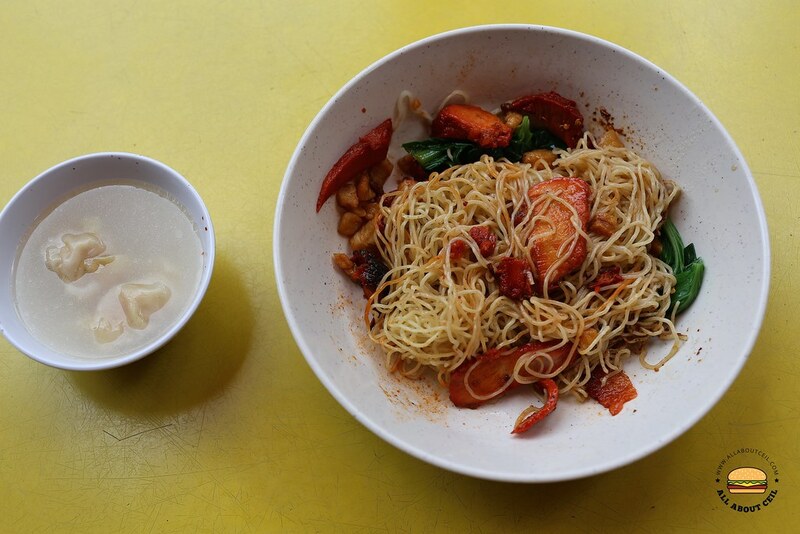 It is different from the regular wanton mee as it is much drier with no sauce. The noodles were thinner and rather springy. The lards were not as crunchy and fragrant as expected though. What left an impression was their friendly service. If I am going to compare this with the popular Soi 19 Thai Wanton Mee, I would still think the latter fared a bit better.